Until now Television and Teletext were two separated media having little relationship with each other. TV-Windows changes this. It synchronises (analog) Teletext with the current broadcast and is able to superimpose text windows on the television program. This creates interactive subtitling without any need for installing a settop-box or ITV middleware. Opening a text window allows viewers to systematically freeze television programs or commercials. Background information, which is displayed in a split-screen mode, is added. Viewers have full control, they can read the selected information for as long as they want and can even later reselect it. Meanwhile the viewers are still watching the ongoing television broadcast. 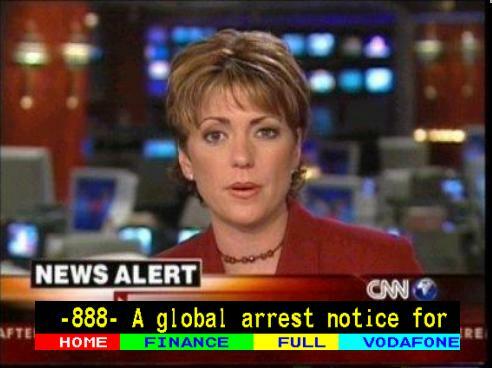 Since adding Teletext split-screen information is voluntary, there are less legal implications compared to video based split-screen advertising. Although voluntary, it is easy to stimulate it to grow into a viewing habit because the background information is permanently available and five times faster to access than classical Teletext. TV-Windows commercial revenues are gained from two sources. The first is increased viewing rates. Viewers can zap within the channel instead of between channels. The second is direct revenues, currently derived from four applications: TV-Windows Info-Bar, TV-Windows Ad-bar, TV-Windows ITV-Bar and TV-Windows Edu-Bar. TV-Windows Info-Bar generates income by sponsorship of program related information windows. TV-Windows Ad-Bar generates income from television commercials by prolonging them in an advertising window. Finally TV-Windows ITV-Bar and Edu-Bar generate income from premium rated SMS or telephone traffic. They offer, based on TV-Windows, a complete interactive television platform with quiz, voting and betting facilities for ordinary (analog) television sets without the need for any special decoders; a platform that can also be used for distance learning. To receive further, more detailed, information please contact us. Copyright © 2000-2017 J.C. van Nieuwkerk. All rights reserved.